How we got here: In the 2017 recruiting cycle, Nebraska only signed one defensive back. Elijah Blades was supposed to be an immediate-impact player for the team but did not qualify academically and is now at Arizona Western Community College. Mike Riley said that defensive back is the team’s number one priority this cycle. The Huskers’ recruiting certainly reflects that sentiment. So far, a trio of highly-rated defensive backs are in this 2018 class. Radley-Hiles is Nebraska’s highest rated defensive player in the class. The versatile defensive back is also the class leader and its most influential peer recruiter. Goodrich and Williams are both listed as athletes and can play either safety or cornerback. Neither of them should be overlooked as both are skilled athletes that have continued to perform well at camps this summer. 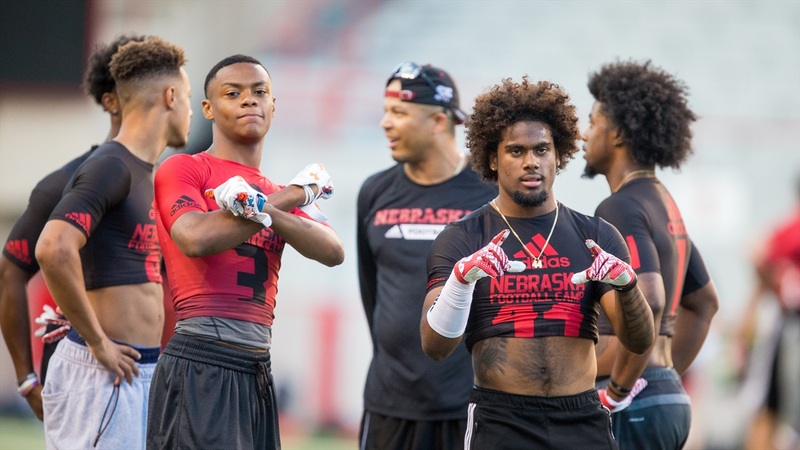 Where they go from here: Even though Nebraska has three commits right now, the team will lose Boaz Joseph, Joshua Kalu and Kieron Williams for sure due to graduation after this season. Add in the possibility of losing Chris Jones to the NFL and you get more of an idea of why Riley places such an emphasis on defensive back this cycle. Wanting a number of players at these positions has not stopped Nebraska from being selective in who they go after, however. This is where Donte Williams comes into the picture. The young cornerbacks coach has a great reputation among prospects, high school coaches and parents that allows him to go after top-end talent. Four-star Talanoa Hufanga is one of the best safety prospects in the country and has visited Nebraska, attending this year’s spring game. IMG Academy defensive back 4-star Houston Griffith is the son of BTN Analyst Howard Griffith and is one Nebraska’s top targets. Griffith attended the June 23 Friday Night Lights camp and came away impressed. Four-star Christian Tutt was a surprise at the same camp, but impressed many with his competitiveness and skill. The Huskers are high on his list and he is thought to be on “commit watch” as someone who could be the next person to join the 2018 class. There are a host of other prospects on the radar right now. Four-star Isaac Taylor-Stuart, 4-star Aashari Crosswell and 4-star Bryan Addison are all names to look out for to appear as official visitors during the season. Nebraska also recently offered Dallas Craddieth, a 3-star safety from Florissant, Missouri.